Coconut loves are going to go crazy over these super soft Coconut Cream Cookies! Loading them with chocolate makes them even better! You pretty much mix them up like any cookie recipe. I swapped coconut extract for vanilla and added a little shredded coconut to turn ordinary chocolate chip cookies into Coconut Cream Cookies! They are just the right amount of coconut flavor too. It’s no surprise that my boys devoured these cookies in no time. Even my coconut haters gobbled them up. Add Coconut Cream Cookies to your stack of cookie recipes. They are pretty darn good! Add eggs and coconut extract and beat for 2 minutes. Add pudding, flour, salt, and soda. Beat until combined. Drop onto parchment lined cookie sheets. Bake 8-10 minutes. Be careful to not over bake. Let cool on wire rack for a couple minutes. 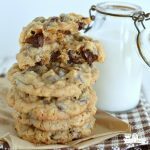 Chocolate chips cookies with coconut?! Yes, please! I so need these in my life! 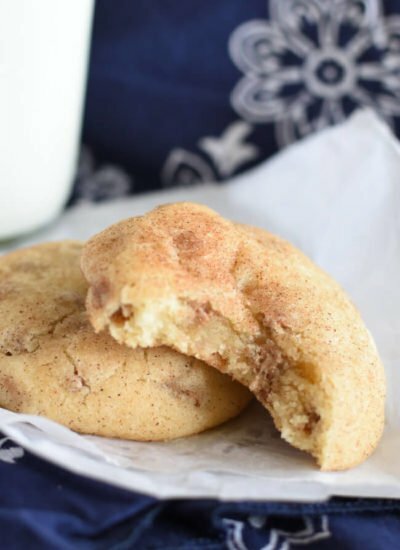 Coconut is like and added bonus in an already delicious cookie! I love coconut so these sound so delicious to me! 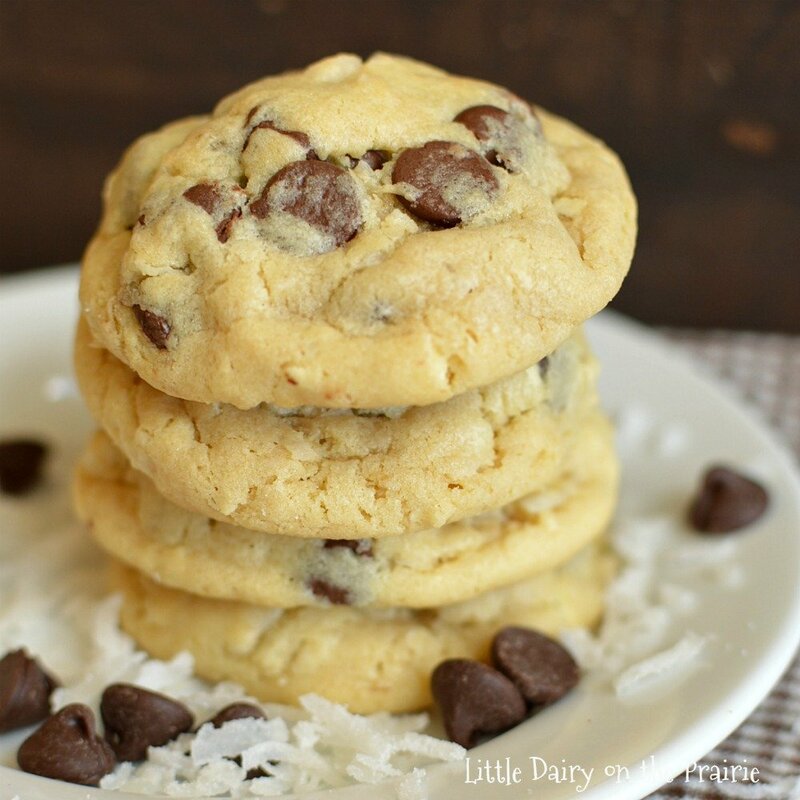 Coconut and chocolate lovers will quickly become addicted to these cookies! OMG I bet the coconut cream in these is outstanding!! Love the coconut pudding idea! Do you remember Grandma’s cookies? Her chocolate chips cookies had pudding in them and were yummy! I agree about the male gender having difficulties finding things. We have that problem around our house too! How could I forget Grandma’s cookies! I remember her telling me all about the pudding in them. I don’t know what it is about boys…all I know is they CANNOT find anything! I’m reporting back! I made these cookies today and they are yummy!! I love how moist they are. They have the right balance of coconut. I ate some of the cookie dough (shhh.. don’t tell!) and the cookie dough was pretty strong so I was a bit nervous but then I ate the cookies after they baked and it was the perfect amount of coconut flavor!! Yahoo!! Thanks for sharing your talents with us. Our household is grateful for your yummy recipes! I’m glad someone is actually able to use and enjoy the recipes that come about because of my crazy cooking obsession! 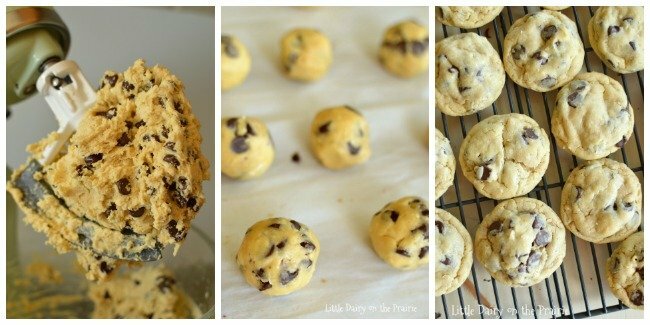 I primarily make cookies because I like the dough, so no raw cookie dough eating judgment from me! 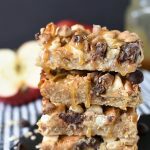 The coconut flavor does seem a little over the top at first but everything settles down in the oven! Thanks for following along on my crazy adventures! 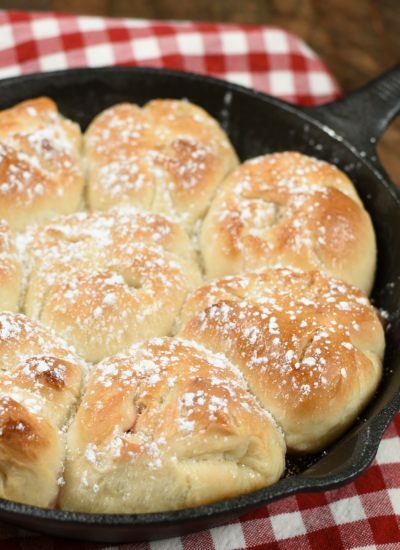 These look so pillowy-soft, and absolutely decadent! I’m definitely a coconut lover, and the wonderful coconut flavor from the pudding mix sounds fantastic – what a terrific flavor profile with the mix of coconut and chocolate! Double-yum! Coconut and chocolate definitely belong together! I’ve heard about using pudding mix in cookies, but have never tried it myself. That needs to change! There is something magical about it! I didn’t try it forever, thank goodness I finally did! I’ve never used pudding mix in my cookies but I definitely need to give it a try. Yours look so beautifully soft and delicious. You won’t regret it! It makes the most wonderfully soft cookies! I made these the day you posted them and they were gone that night. So easy and so delicious. Im anxious to try other varieties of pudding with this recipe!! I am obsessed with these! I love coconut everything! 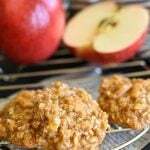 If you love coconut these cookies will rock your world! This sounds fabulous! Coconut and chocolate is such a delicious combo! Chocolate is always a good idea…coconut is scrumptious little bonus! Oh my goodness! The addition of coconut just take the deliciousness to a whole new level! I love this! Coconut and chocolate make everything better! Happy Fall! Hello Amy I just found your blog and am looking through all your delicious recipes! Could you tell me how many ounces are in a small package of instant coconut pudding as I do not live in the US I need the exact measurements so I can use the correct amount. Thanks so much. 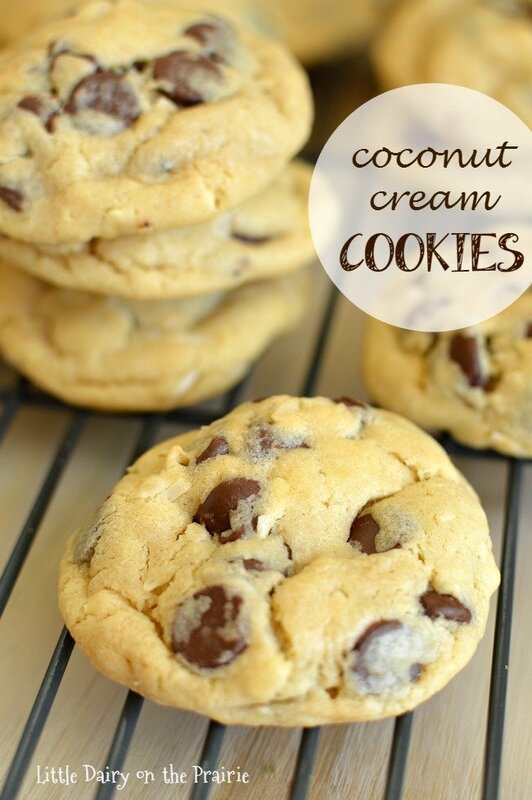 I love coconut and chocolate together so can’t wait to try these cookies! I used the Jell-O brand pudding and it is a 3.4 oz package! Happy Fall! I enjoy your delicious recipes, Amy! I can’t wait to prepare these amazing coconut cookies! Thanks! I hope you try them soon! WHAT. I love coconut cream (anything) so much that it might run through my veins at this point. These cookies look like a dream. It’s just so irresistible isn’t it? These cookies will hit the spot for sure! Amy!!!! I LOVE your new site design! It looks amazing!!! 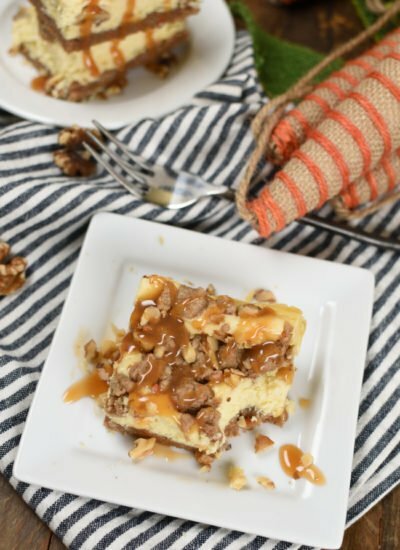 I’m drooling over all of these delicious recipes! Your amazing! Keep it up girl!!! Hi Maria! Thanks for stopping by! It’s always fun to get a little makeover! We really need to get together! These look heavenly! Can’t wait to make these. Nice twist from a regular chocolate chip cookie. Thanks Amy! 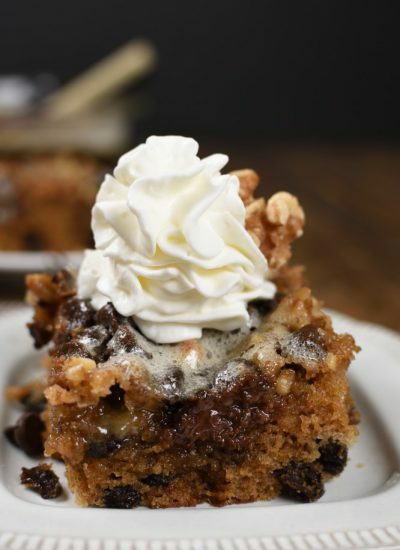 You can’t go wrong with chocolate chip cookie, but adding coconut is always a fun switch up! Enjoy! These are yummy cookies. I didn’t have coconut extract which would give a better coconut flavor. I didn’t add the extra coconut flakes as I only like the taste of coconut and not the flakes. My Husband says they are a gold star cookie. Gold star in our family means I want to eat often. Thanks for sharing this is my first pudding cookie. Hi Nancy! 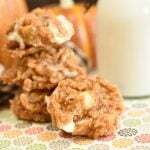 I love you’ve added these cookies to those that have earned “Gold Star” status! So happy you and your husband enjoyed them!